The Batley Sports and Tennis Centre is a multi-purpose venue with both wet and dry leisure facilities. 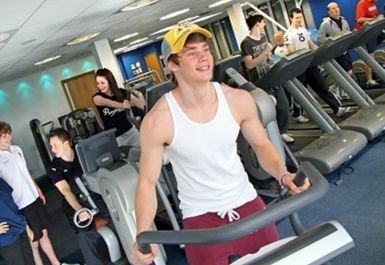 The gym at Batley Sports and Tennis Centre consists of 40 stations of resistance and cardiovascular machines including treadmills, cross trainers, steppers, rowing machines and much more! In addition, there is a dedicated free weights area to conduct your exercises as well as fitness aids such as Swiss balls. Friendly and qualified staff are always on hand to offer excellent advice and to lend a hand with your workout. There is every type of equipment I could imagine needing, modern facilities, friendly staff and the gym was well ventilated. Of all the gyms I have visited, this is easily my favourite. Friendly staff, quiet and a good range of equipment. Great gym, Pretty quiet, Friendly Staff. Would use again!! !